Support USB / SD / Bluetooth / FM / LINE switch automatically. Module containing MP3/WMA music decoder chip. Support USB, SD, MMC card for playback. Support USB / SD card switch, the song, the next song, fast forward, rewind, adjust volume, EQ, play / pause, stop, single repeat, mute, shutdown, elections songs. Support Bluetoot previous song, next song, adjust volume, EQ, play / pause, mute, shut down. Support FAT16, FAT32 file system. Support MP1 Layer3, MP2 Layer3, MP3 Layer3 version of the song. 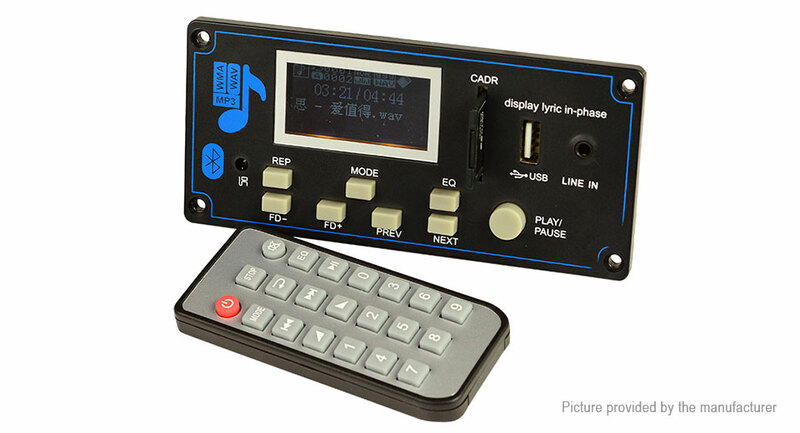 How to use sound card and card reader function ? How To use Record ?